By now we all know trees in the landscape, big or small, should have an exposed root collar. The root collar is the area of the lower trunk that flares out at ground level. 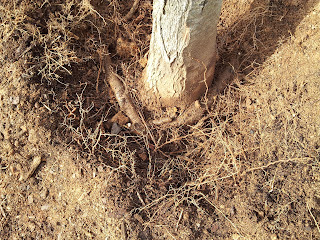 It is the transition area between the stem and the structural root system of a tree. Tree root collars have evolved over eons to be exposed to air. Buried root collars are detrimental for several reasons. Cell respiration is disrupted, adding just one more stress to the tree. This area of the tree can be intolerant to prolonged soil moisture, which can decompose tree bark and give way to stem pathogens. Finally, buried root collars can lead to and disguise stem girdling roots. Stem girdling roots arise in a few ways. 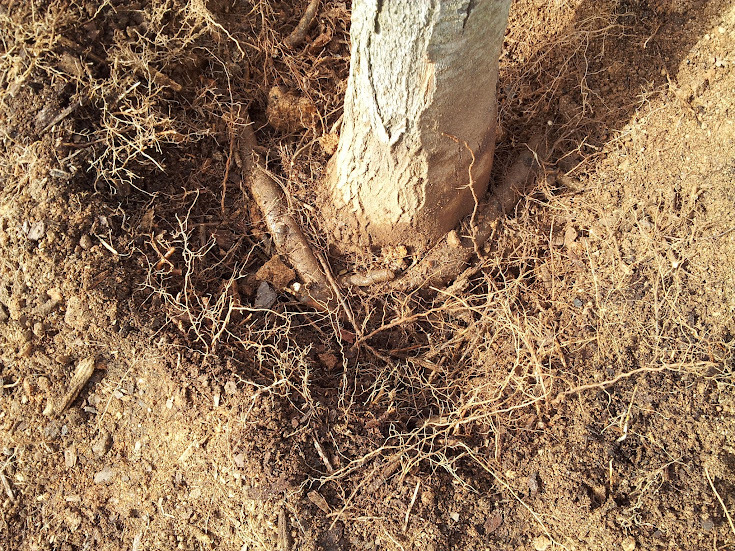 When root collars are buried the tree reacts as if part of the root system has been damaged, and the tree forms a secondary root system. These secondary roots can grow parallel to the stem, and begin girdling. The other danger in this scenario, the secondary root system may take over water and nutrient uptake for the tree while the primary/structural roots slowly rot away. Thus, a tree that looks perfectly healthy is standing with little to no structural root system. 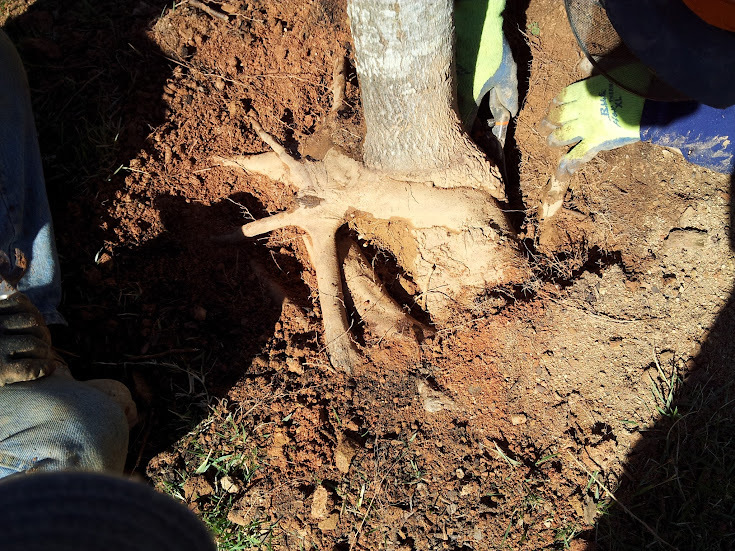 Another way girdling roots develop on our landscape trees is through container production. Many of the trees we plant are started in pots. When trees are allowed to stay in these pots for too long roots interact with the sides and begin circling the container. In many cases this is allowed to happen through every change in pot size, creating an almost hopeless structural root system. Girdling roots around the circumference of the lower stem. Large impacted girdling root, notice the diameter of the root compared to the diameter of the stem. 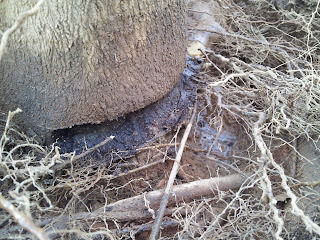 Severed girdling root, notice the large amount of stem damage that has occured. I often see buried root collars in my local country park, where they're trying to plant a small wooded area of pines. Clearly the chief groundsman is one for symmetry and I'm sure the long thin pine stems coming directly out of the ground look great aesthetically, but they won't when they're all lopsided and on the ground in fifty years. Bear in mind this is the same gardener who called me employers (Promax Access) to ask if he could borrow a cherry picker (for free!) to paint the uppermost leaves of an Oak to make it look "more English..."